This post is in collaboration with and sponsored by iHerb. As you know I partner with iHerb frequently because I love being able to purchase all sorts of products from one trusted online store. iHerb is a Google Trusted Store and their Customer Service team provides support in 10 different languages. Using the site to complete a purchase is very easy, and takes just a few seconds. 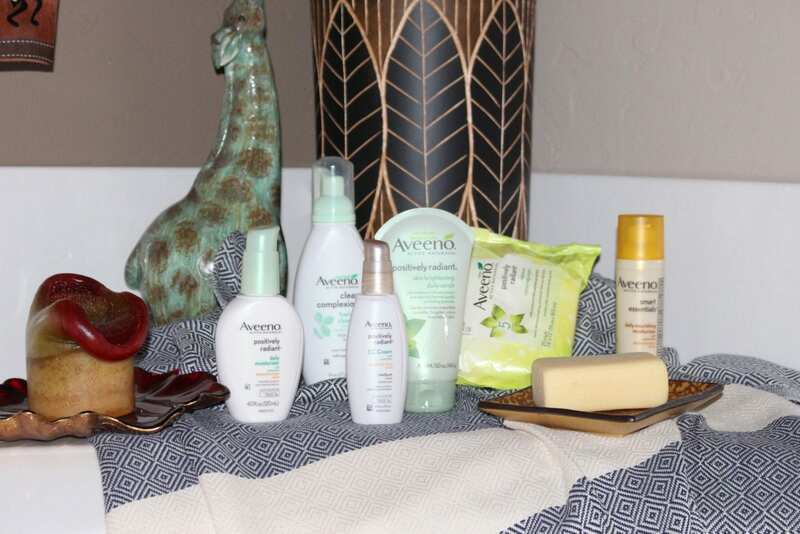 I did a bit of a skincare haul when I found out that iHerb carries Aveeno Active Naturals. Cleansing every single morning and night is definitely one of my favorite things to do. I remember when I started adding more products in my skincare routine, back in the day. Toner, oil, serum, etc. Cleanser was never one I would take out of my routine but it’s always the product I’m willing to try from countless skincare brands. This is usually the item that makes the most difference for my skin. The cleanser is perfect if you tend to have more acne prone skin, but it's also extremely moisturizing. The combination of Salicylic acid and moisture rich soy extracts really creates the perfect solution for skin that is sensitive and tends to be more acne-prone. Sometimes when I use Salicylic acid or Hyaluronic acid, my skin gets extremely dry so the moisture is a huge help. I always love when a product's claims are actually legit. Aveeno claims this cleanser helps to improve skin's tone and texture, which is certainly accurate. My skin ends up much softer after the cleanser then it was before. If you know much about my moisturizer preferences, you know that I’m a sucker for SPF. Because I live in Arizona, I tend to use day moisturizers with at least SPF 30 but I can always settle for SPF 15 too. However one thing people forget is that while something has SPF in it, you still need to actively reapply it throughout the day. Usually every 1-2 hours in order to keep the sun from burning your skin. When it came to this Aveeno moisturizer, I liked it for several reasons. First off, it’s travel-friendly so once my skin gets accustomed to it, I can easily take it with me in my carry-on or in my backpack. It’s got vitamins A, C and E.
Specifically for this Active Naturals line, Aveeno states that that the antioxidant Southernwood extract is in the formula to help cleanse, nourish, protect and treat stressed skin. When it comes to moisturizers, it’s important for some to have a product that’s oil-free and hypoallergenic, and this moisturizer is both! In addition, this moisturizer helps to soften and smooth the skin with some conditioning emollients and it definitely feels moisturizing on the skin, without being greasy and overwhelmingly watery. Now this moisturizer has a lower amount of sun protection due to the lower SPF. However, it provides more radiance, making you look like you have the perfect healthy glow. This one is clinically proven to even out skin tone, which is something I’ll be looking for in the long-term given my uneven skin tone. It’s also oil-free and hypoallergenic. This moisturizer is proven to help with tone, texture, dullness, blotchiness and brown spots. The most intriguing thing I’ll be watching out for is the improvement with brown spots. If you watch my YouTube channel, I mentioned one brown spot underneath my right eye. I never thought I’d have brown spots, so this is definitely one of those “Oh crap” moments because my skin is starting to get more sensitive and respond to the sun and other environmental toxins in a negative fashion. Do you struggle with any brown spots? Have you found an effective and reliable way of improving their appearance, or completely getting rid of them? To me, the texture of this moisturizer is more liquidly and seems to have a tougher time blending into the skin. It’s not bad, but it’s an observation as I compare this particular one to the SPF 30 I just discussed. While the consistency is still thinner than a foundation, it is not quite as liquidly as I remember CC creams to be. This was a nice surprise. The other thing about this particular one is the radiance element. If you have oilier skin, I would not recommend this CC cream for you because you will look like a disco ball by the end of the day. Heck, maybe even after a few hours depending on your oil production. This is really nice for those with drier skin. Normal skin can get away with it so it looks nice and dewy, but I certainly cannot rock this in the summer or I would look like Patrick Hewing in the fourth quarter. In case you don’t know much about CC creams, it stands for correcting cream. They usually help to bring out your best skin without too much coverage. It’s more so a great formulation for those who want a slightly glazed look that helps blur out a few imperfections and evens out skin tone lightly. I love a good exfoliation. Because our skin is constantly housing dead skin cells, it’s so important to use an exfoliator or scrub to get that dead skin off your skin to put that gorgeous nice skin forward. I always enjoy the smoothness of my skin after a good scrub because makeup goes on smooth and the skin looks renewed and fresh. This unique formula utilizes moisturizing soy extract with round microbeads to gently exfoliate while you’re also cleansing the skin. It’s the perfect scrub for everyday use, and won’t make your skin irritated or dry. Normally I worry about my skin being red or feeling lackluster after too much scrubbing, but this is a really gentle option so you don’t need to worry about over exfoliating. In addition, this is another product that helps to bring out that natural glow and show your skin’s beauty. Honestly you can’t go wrong with makeup removing wipes because they come in handy all the time. I like to fix makeup throughout the day using a wipe, use them on my hands and of course get that first layer of makeup off at night with the wipe. It makes removing all the pounds of makeup so much easier. These wipes have the same moisture-rich natural soy extract, making them moisturizing and leaving your ski n soft and smooth. It easily removes makeup, oil and dirt which is quite nice. Similar to most of the Active Naturals line, they are oil-free and they will be gentle on the skin. Those days you wear 5 layer of eyeliner? Well you’re covered with these wipes which is really nice. 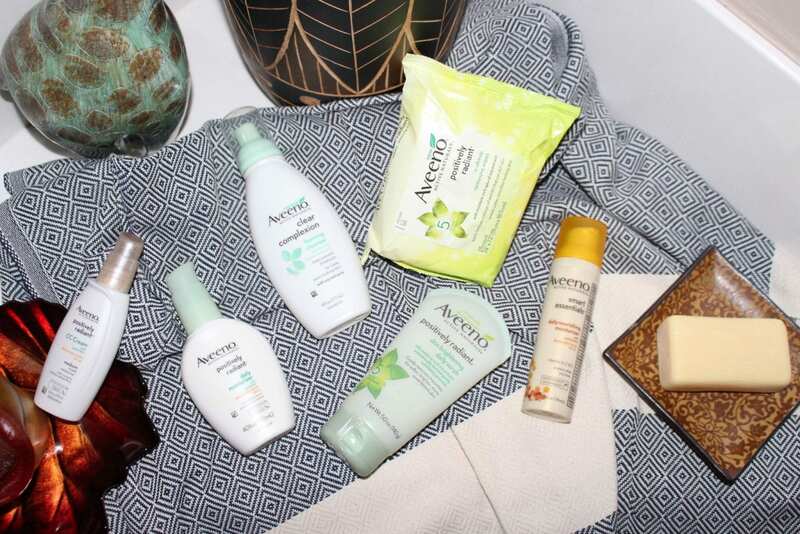 They’re formulated to target all the factors of radiance, according to Aveeno, which includes tone, texture, dullness, blotchiness and brown spots. Another product I’m looking for long-term results when it comes to those brown spots. After I use these wipes, my skin is definitely looking fresher, more awake and I’ve got that beautiful healthy glow. What more can a girl ask for? 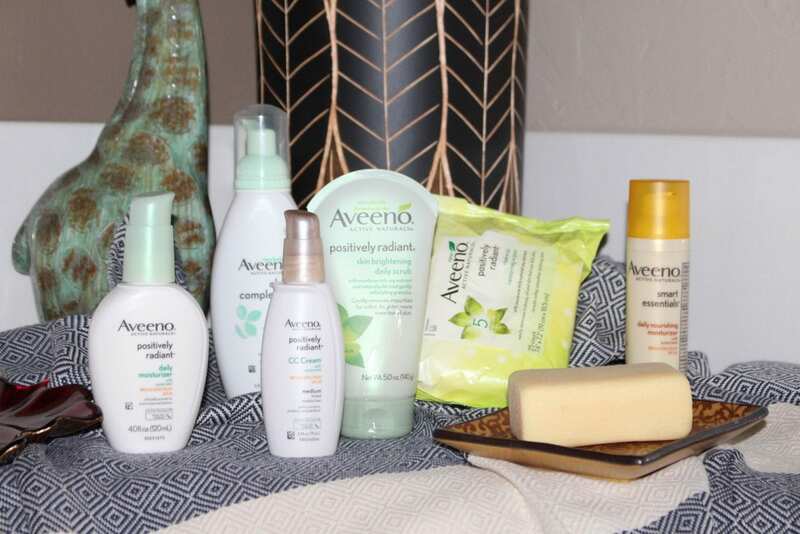 What's your favorite product from Aveeno? If you're interested in snagging some Aveeno from my favorite online retailer, here's a 10% off discount for you.